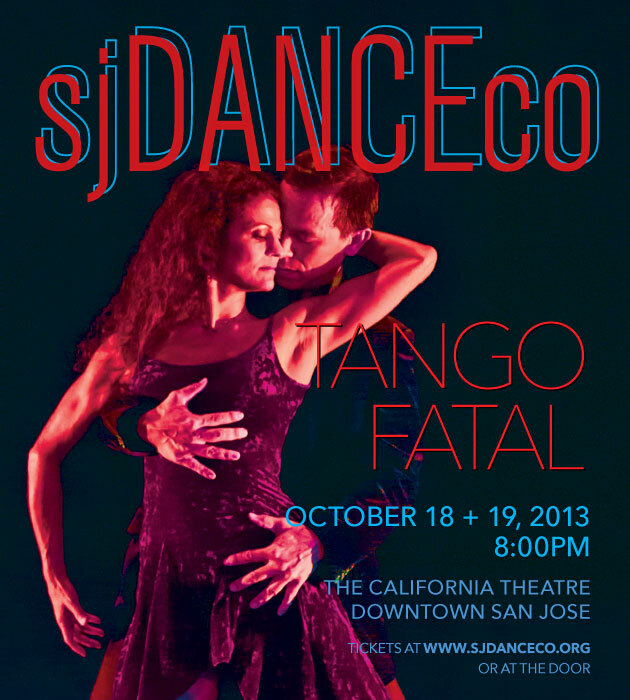 Tango Fatal has a scenario by Lorenz Russo, Choreography by sjDANCEco Artistic Director Maria Basile in collaboration with Opera/Theatre Director Daniel Helfgot, and San Jose Chamber Orchestra Director Barbara Day Turner. Four additional World Premieres by Company Choreographers Heather Cooper and Hsiang-Hsiu Lin and guest choreographers Kara Davis and Margaret Wingrove. Pre-performance discussion with Artistic Director Gary Masters at 7:00pm before each performance.